The Surrey League have introduced Race Preparation Training. All novice & 4th cats. (both men & women) must attend two of these training sessions before they can ride any Surrey League events (except time trials). It does not matter how many events you have raced as a 4th cat, these training days are compulsory. 4th cat. riders who have attained 2nd cat. or above in the past may apply for a dispensation, which may or may not be granted. The training sessions will be held throughout the year and at various locations within the Surrey League area as and when we can find suitable venues on suitable dates. 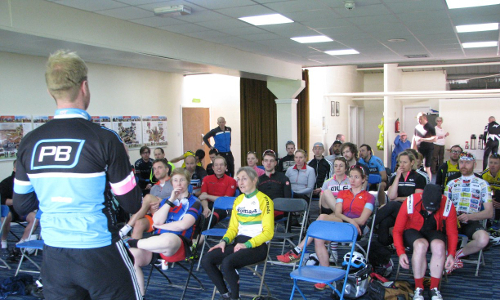 The training sessions will be run by qualified British Cycling coaches, we’ll also have a number of ‘experienced’ riders on hand to ride with you and offer advice and tips throughout the day on everything from race tactics to licensing and categories. Below is an outline of the areas that will be covered, although this is fluid as the group dynamic/weather conditions etc often dictate the session content/timings. Circuit session General: Adopting solid-core, aerodynamic racing positions, correct positions for various race scenarios. Pedaling technique and cadence drills. Group riding awareness, communication, bunch etiquette rights and wrongs. Group riding skills: (Basic) Maintaining a position in a bunch, changing position in a bunch, moving from front to back in a bunch etc. Positioning for attacks, breaks, final lap sprints. Safely switching lines when responding to developing race scenarios. Cornering: Line choice, gear selection, entry and exit speed, body position on the bike, eye-line. Optimum line and enforced change of line due to other riders. Group riding skills: (Advanced) Working efficiently in smaller groups, breaks, chases etc. TTTs and T & Os, pace lines/ chain gangs – close wheel-to-wheel riding. Sprinting: Good technique, holding a line etc. Sprint training drills to take away and practice. Strength vs Speed: Significance of high cadence vs low, hard gears. Rights and wrongs for circuit/road racing. Practical drills and how to improve. Warm-ups: Importance of and what is an appropriate warm-up protocol for short/long races/TTs etc. The ODP’s World Class warm-up completed and explained at the start of the session. Classroom session: If conditions allow we’ll be doing video analysis of certain elements during the session and start by reviewing some footage here. Followed by a presentation on training and preparing for racing, covering components of fitness and principals of conditioning. This gives the riders a very clear idea of WHAT and HOW to train to enhance their racing. 23rd February @ Ardingly: Race Preparation Training Day. Book Here. 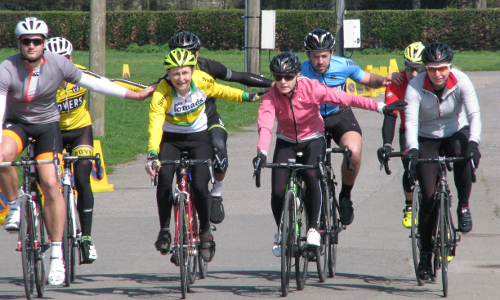 2nd March @ Hillingdon: Race Preparation Training Day. Book Here. 23rd March @ Ardingly: Race Preparation Training Day. Book Here. 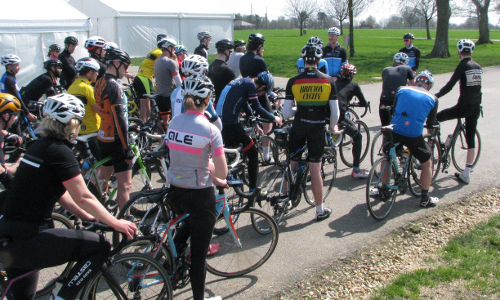 21st April @ Hillingdon: Race Preparation Training Day. Book Here. 28th April@ Ardingly: Race Preparation Training Day. Book Here. 29th June@ Ardingly: Race Preparation Training Day. Book Here. Training days are run every month of the year, where possible. More dates will be added here as we confirm them with venues and coaches.